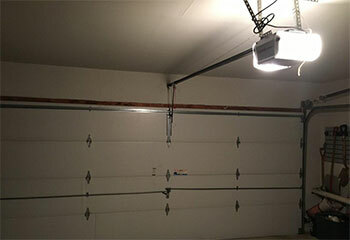 Garage Door Repair & Installation Services In & Around Mt Vernon, NY! The longer your garage door is left to struggle as it opens and closes, the more damage will be done over time! Putting off any needed repairs or otherwise will only worsen the problem and create more issues to deal with, so why wait when you can contact our professional team instead? We’ll work quickly and efficiently to get it taken care of for you before you know it. Our team uses only the best parts and tools available for every job to ensure that our work will last for years to come, rather than fall apart in no time, requiring more repairs. We’ve been working in the field for years and use our knowledge to determine the most straightforward and viable solution to whatever the problem may be. We’ve seen it all before, so there’s no need to worry about whether or not we can handle your issue! Your door will be as good as new again in no time. While we strive to complete services both big and small as soon as possible so you aren’t stuck waiting and delaying your busy schedule, we also promise the highest quality work available. We can do this thanks to our friendly experts who will treat your door as if it’s their own and provide the greatest care and attention to detail to assure the job is done right the first time. Fast doesn’t necessarily mean bad, and it certainly doesn’t with us! Your home's garage door makes up a large portion of the front of your home, and along with this, a big chunk of the first impression of it as well! Make sure that you’re creating a positive first impression for everyone from visitors to potential buyers with a new garage door to freshen up the look in no time! A brand-new door from one of the top brands that we work with can really make all the difference. While it’s a big job, you can count on our team to get it put in quickly and professionally for you. There are many issues with your garage door that may arise over the years from wear and tear, but you can count on us to be able to take care of them! The tracks that your door slides along may become warped or even dented from a bump with the car, but we can repair or replace them if needed so your door can move easily again. The issue with drag may instead be due to the rollers rusting, but we can repair or replace them as well right away. 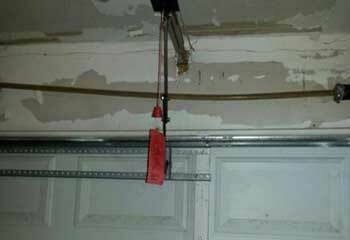 Want to ensure that your garage door will continue working like a charm for years to come? Let our team provide periodic maintenance to keep it in the finest shape possible! Part lubrication not only helps to keep it running swiftly, but it assists in keeping certain parts, such as the springs, limber and less likely to break as well. Safety sensor testing is also a highly important way to keep your family protected by ensuring the sensors are functioning precisely to tell your door to reverse should something move under it while it’s closing. System examinations are also available! While your springs are one of the most vital components of your door, they can also be one of the most dangerous if they aren’t properly handled! 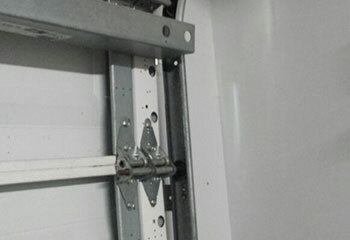 The springs are what are able to lift the door up off the ground thanks to storing energy, which means they’re directly connected to the weight of the door itself. One false move can lead to it all crashing down as well as injuries, so let our experts take care of it for you! 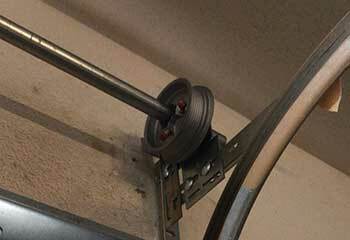 We can replace both torsion and extension springs in no time and get your door back in working order. Whether you’d like to upgrade to a new, quieter garage door opener that you can activate with your phone, or your old one has simply stopped working and needs to be replaced, we can help with our professional installation services! We work with all of the finest brands from Craftsman to Linear, so we can help you find the perfect fit before you know it. If you’ve already purchased it, that’s no problem either! We’d still be glad to assemble and install it for you so you can rest assured the job was done by an expert and will work perfectly. Find out what our team can do to help you by checking out some of the latest projects we completed. There’s always another pair of photosensors in need of realignment! Click here to read about our most recent. One of our customers needed a new opener. Learn which one our team got her and how they installed it here. Spring broke? Need a helping hand? We're happy to help you just like we helped this customer. Read more here. Door acting up and you don't know why? Do what this customer did – contact us! Find out more here. A squeaky door can be annoying and also a sign of potential problems. Learn what our team can do to help. Being able to open the door remotely is wonderful enough, and simply using my phone to control the opener instead of having to remember to take a remote is even better! Thanks for your help and guidance. Very happy to have found such a trustworthy company with great customer service. Your technician did a fantastic job fixing the problem with my garage door tracks. Thanks again! 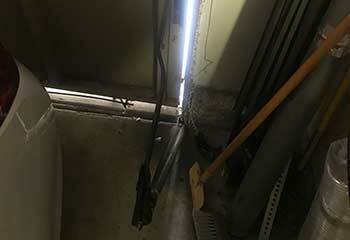 Our new garage door opener is working great! Our mornings are so much easier now, thanks a lot! You guys were a big help, from the consultation to the installation.